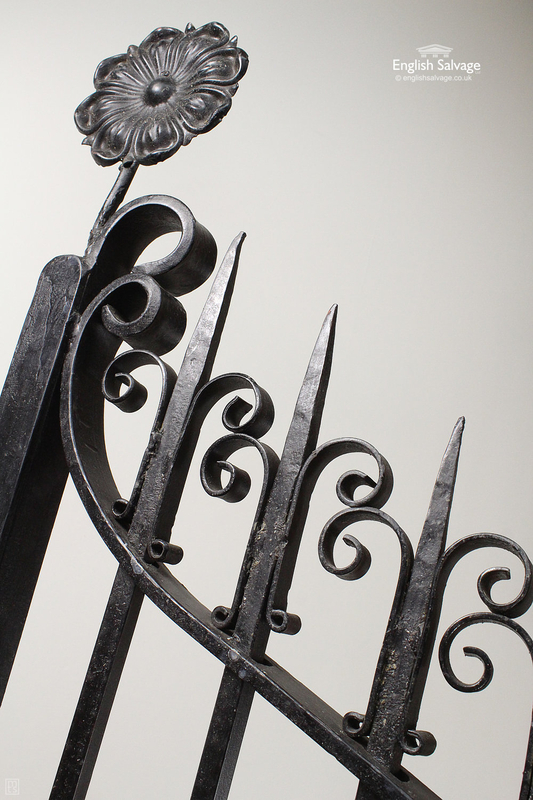 A well made pair of garden/pedestrian gates in traditional solid wrought iron. 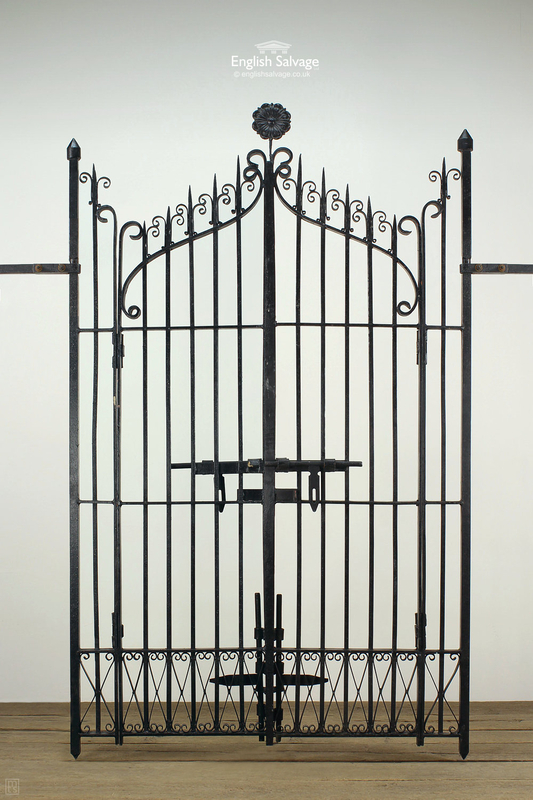 No hollow section utilised which you find on cheaper gates. 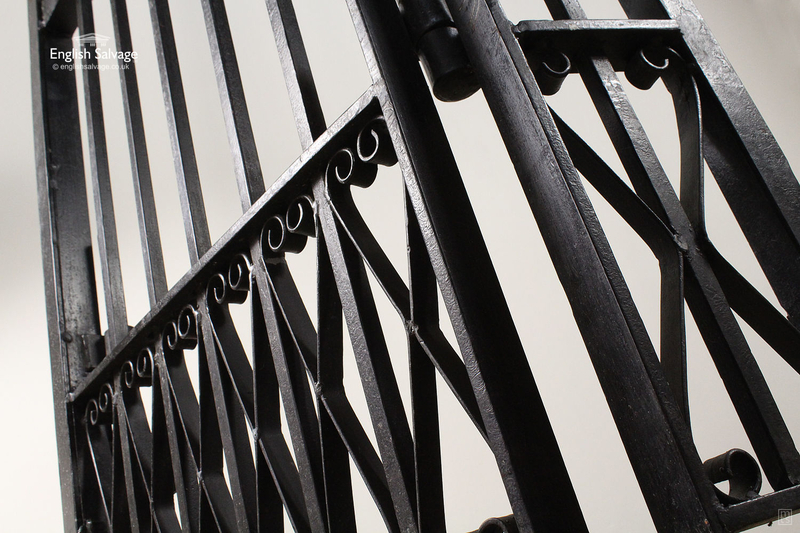 The gates themselves hinge on the integral side railings. 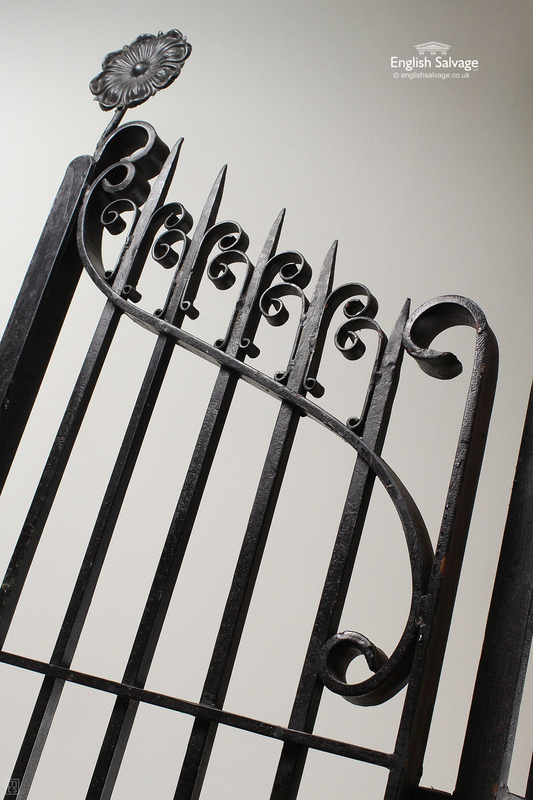 The side railings can be rigidly mounted or can also be hinged on a separate post (not provided) or wall. Overall width is 172cm and total height is 250cm. 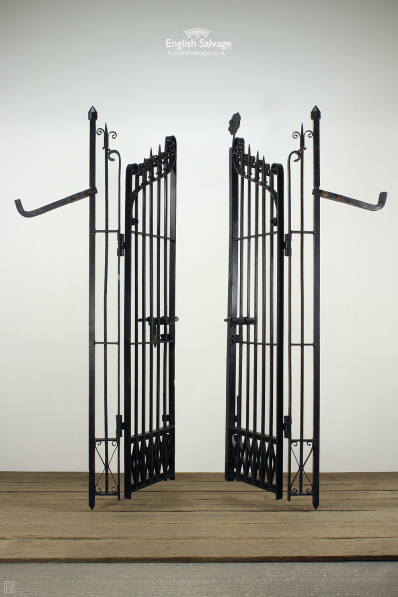 The gates themselves are 134cm, each side railing is 19cm wide. We have a similar pair of gates with a rusty finish available here, and a smaller pair of gates with a similar finish available here. New item, black painted finish.